For lacrosse players who want to take their game to the next level! Updated Tuesday January 1, 2019 by Gloucester Lacrosse Association. The Gloucester Griffins JR B Lacrosse Club are running a player development program for experienced peewee and bantam lacrosse players who want to take their game at the next level! The camps are designed with the competitive player in mind, but open to all who want to develop their skills and give them an edge on the floor to play at the highest calibre possible. 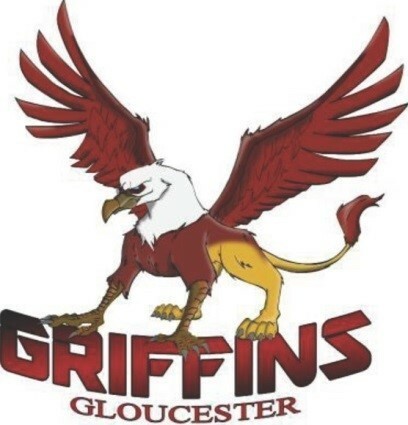 The Griffins will also offer a 'Junior Griffins development & spring training camp' for midget and junior age players that will have the opportunity to play with the Griffins JR B Club as full-time junior players or affiliated player call-ups in 2019. Instruction will be overseen by our large cast of current and ex Gloucester Griffins staff and players with skill sets ranging from JR B, all the way to the NLL! Take your game to the next level. Transition tactics include- how to attack/defend transition (2 v 1, 3 v 2, 4 v 3). Specialized goalie instruction will also be available from NLL. SR A, JR A and JR B instructors! Preregistration is required using the attached form so that we will have the necessary personal information and can ensure the proper number of instructors and pinnies by age group. Contact Dave Smith (glenda_dave@sympatico.ca), President/GM, Gloucester Griffins JR B Lacrosse Club for additional details. The PW/Bantam (11-14 years) will be tailored to teaching and improving individual and team skills that will allow the players to play competitive lacrosse for the GLA at an 'enhanced' level in 2019; including basic individual skill development such as passing/catching at an elevated pace while under pressure, focusing on skill development and floor awareness (positioning) during all drills at a high intensity pace. Individual coaching, will be available as required, to focus on improving weaker skills specifically. The Midget-Junior (15-21 years) will be tailored to teaching individual and team skills, including the introduction and development of communication techniques within offensive and defensive strategy that they will require to play JR B lacrosse in 2019 or within the next few years (bearing in mind that midget players may affiliate up to the JR B team); and will include the integration of the JR B Griffins’ defensive systems and offensive concepts, how to structure a five man offence and defensive concepts including playing a defensive wall system and how to attack/defend transition (2 v 1, 3 v 2, 4 v 3). guest instructors: James Leitch (JR B) and Brandon Fournier (JR B, SR B).